Johannes R. Fisslinger explores the root causes of symptoms related to the adrenal medulla such as, hypertension, trembling and sweating. Discover the importance of the adrenal gland medulla tissue for our optimum health and balance in life. 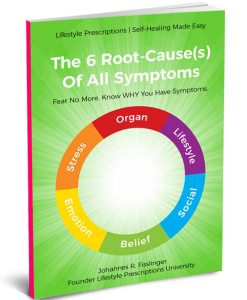 Johannes R. Fisslinger throws light on the root causes of symptoms such as, stressed fatigue, weakness, and apathy, which we often experience in our lives. Discover the importance of the adrenal cortex glands in regulating our energy levels, our drive, and passion for life. Check back weekly to watch new LPTV expert videos. The Art And Science Of Self-Healing # 6: What is Lifestyle Medicine? Johannes R. Fisslinger describes the concept of Lifestyle Medicine. Furthermore, let us understand the aspects of Lifestyle medicine and their role in the prevention and treatment of any health disorder. Johannes R. Fisslinger helps us understand the concept of Placebo and Nocebo effect. We explore the functions of the placebo and nocebo effect and their interrelation with the Art and Science of Self-Healing. Johannes R. Fisslinger tells us about the importance of the Art and Science of Self-Healing. Learn about the variety of healthcare models and the significance of the new revolutionary healthcare paradigm that can help deal with our health issues effectively. Johannes R. Fisslinger explains the concept of The Art and Science of Self-Healing. We look at the status of our current healthcare system and the different aspects of medicine. 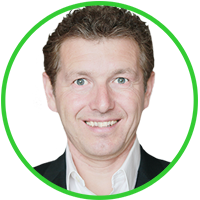 Furthermore, Johannes helps us understand, how we can change our approach in treating any health issue by looking at other opportunities, from the META-Health’s perspective. Johannes R. Fisslinger welcomes us to The Art and Science of Self-Healing series. Learn more about the objectives of Lifestyle Prescriptions and become aware of the body-mind-lifestyle connection and our natural self-healing abilities. Furthermore, we look at the alternatives for holistic approach in treating any medical condition. Johannes R. Fisslinger, shares information on root causes of problems related to connective tissue, tendons and ligaments and the emotions associated with them, from META-Health’s perspective. Find out what happens when we put stress on the connective tissue and the necessary interventions required to alleviate stress and improve their function. Johannes R. Fisslinger, talks about the root causes and risk factors of osteoporosis. He helps us understand the condition of osteoporosis, from the META-Health’s perspective. In addition, learn how we can recognize and respond to the stress triggers that affect our bones and ways to improve our bone health. Johannes R. Fisslinger, helps us understand the health issues such as, lower back pain, sciatica, lumbago, herniated disc, etc. He talks about the different types of emotional and physical stressors that can cause back pain related issues, from the META-Health’s perspective. Furthermore, Johannes provides us with the alternatives, which can strengthen our back muscles and control the emotions that influence the organ-mind connection. Johannes R. Fisslinger takes a closer look at pain-related issues of the shoulder and the skeletal system. Learn more about the root causes and the emotions that can cause pain and inflammation in the shoulder and skeletal muscles, from the META-health’s point of view. In addition, Johannes provides alternatives to deal with the causative factors of shoulder pain and other skeletal symptoms. Johannes R. Fisslinger talks about the root causes and the risk factors of arthritis, gout and many other joint-related health problems. He helps us understand the condition of arthritis, gout and other diagnosis similar to arthritis pain, from the META- Health’s perspective. In addition, find out how the body responds in the stress and regenerative phase and the necessary interventions to improve the condition. Johannes R. Fisslinger explains how the different organs of the body can go under stress and create several chronic health issues. We look at a common symptom such as a headache and what it indicates about our body’s self-healing process. In addition, find out what happens when our self-healing process is incomplete and results into a chronic health condition. Johannes R. Fisslinger throws light on commonly occurring lifestyle diseases such as, high cholesterol and heart disease. In this interesting conversation with Johannes, we look at the functions of cholesterol and arteries and their relation with stress in our body. Find out how cholesterol can become problematic when it exceeds the required amounts in our body and gradually lead to heart disease and arteriosclerosis. Johannes R. Fisslinger talks about the root causes of varicose veins, a condition involving the enlargement or twisting of the veins, most commonly experienced in the feet. In addition, learn more about the symptoms that characterize this condition and steps to prevent further inflammation of the veins. Johannes R. Fisslinger helps us understand the cause of chronic issues such as, fibromyalgia, myalgic encephalopathy (ME) and chronic fatigue syndrome. In addition, we look at what triggers these chronic issues and the symptoms that characterize them, from the META-Health’s perspective. Johannes R. Fisslinger further deciphers the complexity of various chronic health issues such as fibromyalgia, myalgic encephalopathy, chronic fatigue syndrome, etc. We understand how the organ tissues react in the stress and regeneration phase, showing different symptoms. In addition, find out the influence of emotional stressors in triggering several chronic health issues in our body. Johannes R. Fisslinger, explains the root-cause of digestive disorders such as, Irritable Bowel Syndrome, Ulcerative Colitis, Crohn’s disease, etc. In addition, from the META- Health’s perspective, we understand how our diet, lifestyle, and even our emotions can directly affect our digestive system and the necessary interventions to handle them. Johannes R. Fisslinger focuses on the root- cause of weight-related health disorders such as overweight, obesity, and metabolic syndrome and the effective ways to deal with them. In addition, we try to understand the concept of weight management and its relation with our emotions. Johannes R. Fisslinger looks at the self-healing process and the misconceptions surrounding it. He talks about the two different models of the self-healing process and our interpretation of symptoms in disease management. Learn more about the various factors that can help us to heal naturally and provide a different perspective to our body’s self-healing mechanism. Johannes R. Fisslinger moves further to clear the myths and misconceptions about self-healing. Find out how we can use the law of attraction during the self-healing process. Johannes R. Fisslinger shares with us the three key lifestyle prescriptions principles in the self-healing process. Find out how we can create a clear perception of our health problems, by taking charge of our emotions. In addition, understand the organ-mind connection and their response to the stress triggers in our everyday life. Information provided on this website are for educational purposes only. Always consult your medical doctor or licensed health professional for any type of diagnosis, therapy or advice. Materials provided on this website are meant to educate and inspire and increase awareness of your body-mind-social-lifestyle connection and your natural self-healing abilities and to become more educated and motivated clients and patients. Contact your personal Lifestyle Prescriptions® Provider for more details and for personal Lifestyle Prescriptions®.